In assembly the children have been studying the values of their school. They have set themselves New Year resolutions to encourage them to achieve their goals. They also looked at the life of Joseph, who lives in Sudan, North-East Africa and how important it is for him to achieve his goal of going to school each day so that when he is older he might be able to get a job. 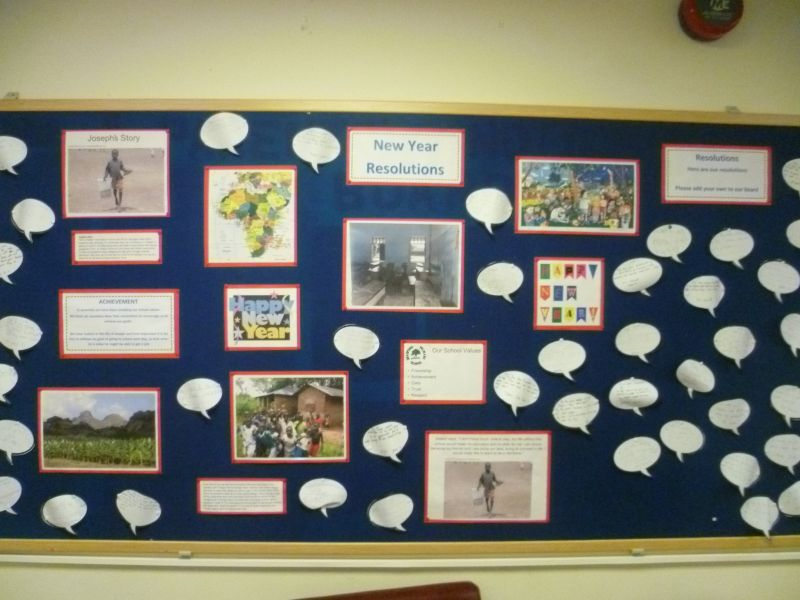 Staff and parents were invited to add their own resolutions to the board.